The Champions of Cheese laid out on the winners table. Like Disneyland crossed with the Oscars, the NZ Champions of Cheese Awards and Cheesefest were 36 hours of cheese geek heaven! Last week cheese makers, industry folk and cheese lovers paid tribute to New Zealand’s specialist cheeses. And I loved every second of it. Fifty nine companies, 413 cheeses and 74 Gold medals. 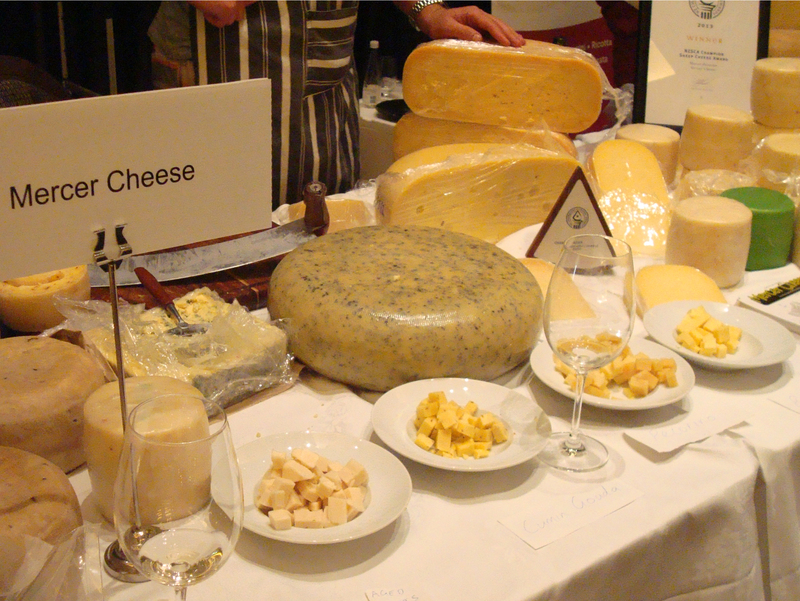 Twenty eight cheesey experts had sniffed, savoured and spat their way to judging the awards. Who knew cheese judges spit much like wine judges? 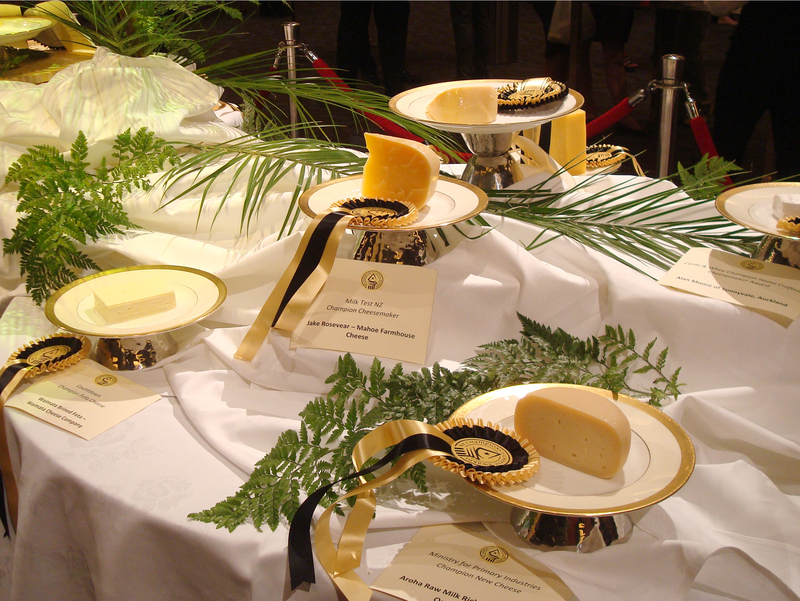 This was the second year Dutch-style cheeses took out top honours. Another major highlight was Ministry for Primary Industries’ award for Aroha Raw Rich Milk Plain. This is New Zealand’s first commercially available raw milk cheese and I can’t wait to try it. 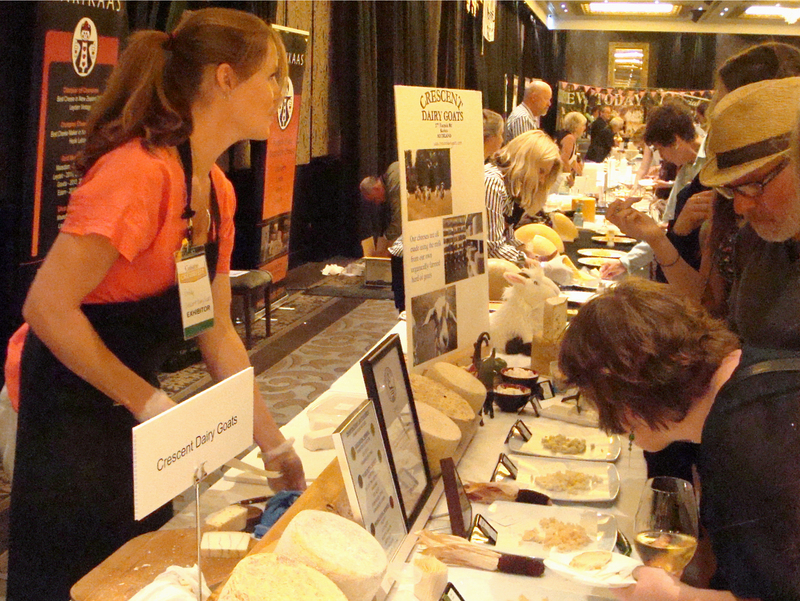 Crescent Dairy Goat’s stand at the 2013 Cuisine Cheesefest was an opportunity to taste smaller producers not available nationwide. Next day was Cuisine CheeseFest, a raucous event of cheese tasting, with the opportunity to buy quantities of specialist cheese at special prices. My overhead locker positively pulsed with cheesey delights on my return flight. This was a great chance to taste smaller producers not available nationally and to talk with cheesemakers in the flesh. Highlights for me included tasting Mt Eliza’s English style cloth-bound Red Leicester, Eliza Blue and Farmhouse Cheddar. I’ve been cyberstalking these guys for ages and the tasting has tipped me over into buying it online. I also loved trying Crescent Dairy Goats cheeses at last, especially their dreamy goats milk ricotta and stunning Farmhouse Sting, proudly decorated with nettle leaves. Also great were the fresh Italian styles, Il Casaro and Massimos with their Mozarella, Scamorza and Cacioricotta. I loved chatting to these passionate cheesemakers and was fascinated to find that Buffalo mozzarella softens as it ages, whereas the cow’s milk version hardens. 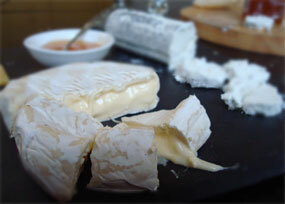 Award winning Mercer cheese – one of the many generous cheese stands. There were loads of other cheese makers, as well as other Cuisine Artisan Award winners. I loved meeting the gorgeous folks behind Lewis Rd Creamery and Rachel from the NZ Manuaka Egg Company who make wonderfully exotic sounding smoked raw eggs! Ah, my cheesy friends this was a foodist extravaganza and I recommend putting it in your diary and indulging yourself next year. So thank yous to my friend Kate for coming with me, #CurdNerd for encouraging me, Goode PR for organising it, and of course the cheesemakers and their girls for making such divine cheese. Cheese spitters? Really? What is the main reason for this? They are tasting heaps of cheeses, so I think they spit much like wine judges. I guess it stops them getting too full. My grandmother always said “Hunger is the best sauce” – so the cheeses they tasted when hungry would taste better than the ones when they are full.